A low-cost proof-of-concept is necessary in designing IoT edge devices. A new breed of designers has arrived that is leveraging the advances in sensing technology to build the intelligent systems at the edge of the IoT. These systems play in every space: on your body, at home, the car or bus that you take to work, and the cities, factories, office buildings, or farms that you work. The energy that you consume and how you travel, by air, land, or sea, all have IoT edge solutions being developed. And, space probes, telescopes, and satellites explore the far edges of the universe. It’s no surprise that the new breed of designers are not only taking advantage of rapidly-evolving sensing technology, but they are tapping into cheap computational capacity and networking to develop and deploy IoT devices for some of the largest new markets in high-tech, consumer, and manufacturing. The widely-dispersed edge of the IoT and the thousands of small, innovative design teams working there are enabling the rapid development of the IoT. Who are the new breed of designers? They work in small teams, collaborate online, and they require affordable design tools that are easy to and quickly produce results. Their goal is to deliver a functioning device to their stakeholders while spending as little money as possible to get there. Many work for companies that don’t have millions of dollars for traditional design tools, don’t have the time or desire to deal with the overhead of a central CAD department, work in a small company with very limited resources, or are one of the many new startups in this space. These teams all have one thing in common: they require the capability to develop a proof-of-concept for system validation in order to capitalize on this enormous opportunity. Even with the huge potential, the edge is very cost-sensitive, requiring a very low-cost proof-of-concept. Design teams rapidly implement solutions using affordable, integrated tool flows that allow them to quickly develop all the pieces needed for the intelligent sensor: sensing elements, analog circuit interfaces, analog-to-digital logic, digital logic, software, and unique form-factor PCBs, all at a low cost compared to traditional IC and systems design. Recognizing that there are special requirements for sensor and mixed-signal companies, as well as startups or small teams creating custom SoCs, ARM offers the DesignStart portal that allows designers fast and easy access to a trial selection of ARM products without charge. In addition, Mentor Graphics provides the Tanner EDA design tools for free evaluation and ARM offers approved design partners for SoC development help. For your project, the portal offers the ARM Cortex-M0 processor that you can download and use for design and simulation without charge. This is the ideal solution to your rapid proof-of-concept project. 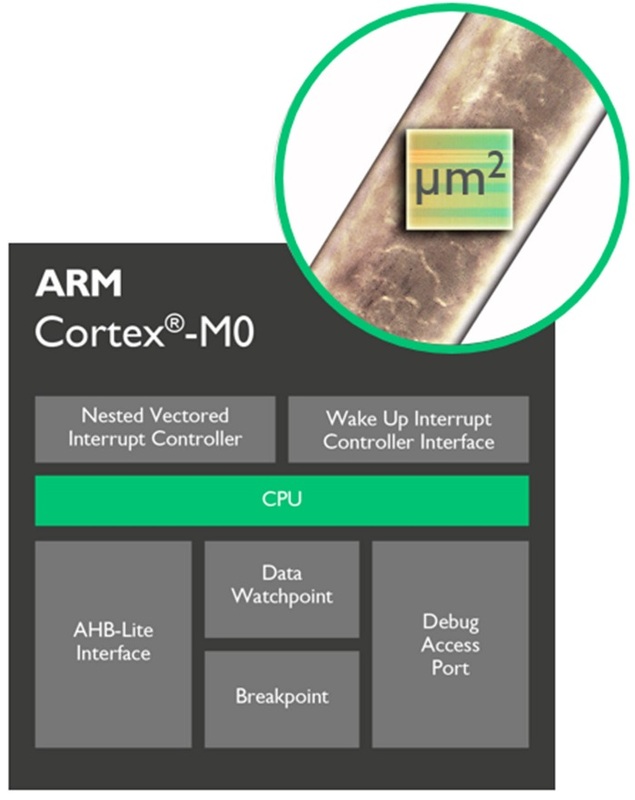 The ARM Cortex-M0 is a low-power 32-bit processor with a small footprint. Simple and quick development – with just 56 instructions and one AHB bus interface, it is possible to quickly master the entire Cortex-M0 instruction set and its C-friendly architecture. Mentor graphics offers a 30-day, free evaluation of the Tanner EDA tools that you can use to design and simulate your proof-of-concept SoC. Tanner EDA provides a complete AMS IC solution in a highly-integrated end-to-end flow. For your proof-of-concept project, you can create the AMS schematic using S-Edit to integrate the ARM Cortex-M0 core and simulate the entire design using T-Spice and ModelSim After you prove the concept, you can use the full suite of implementation tools to layout and verify the design. To learn more about this new approach to IoT edge device design, register for the free webinar here. Jeff Miller is a product marketing manager at Mentor, a Siemens Business.